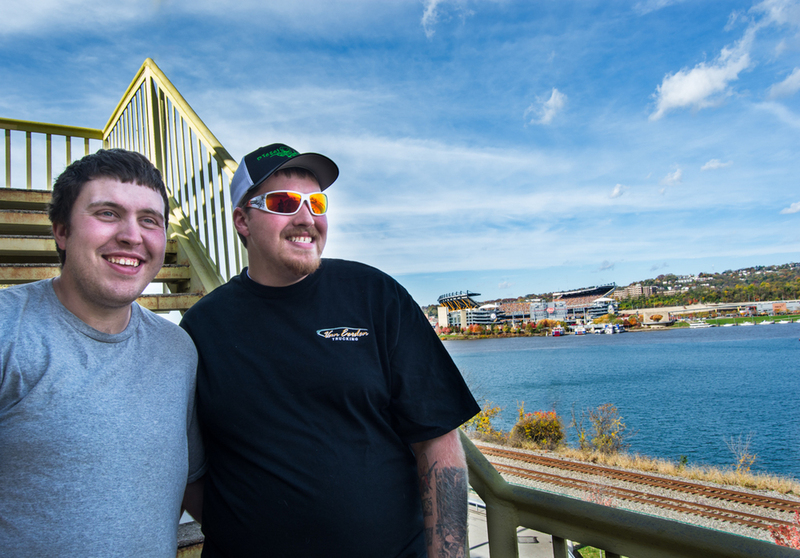 A couple of weekends ago, my fiancé, Brian, and I took his brother, Jacob, to see a little bit of downtown Pittsburgh. We first took him to the Duquesne Incline. Brian and I have never been on this incline, so it was our first time as well riding it to the top. We decided to park down at a garage near the Monongahela Incline and walk to the Duquesne Incline. As we were walking, I took pictures of the different sceneries we passed. 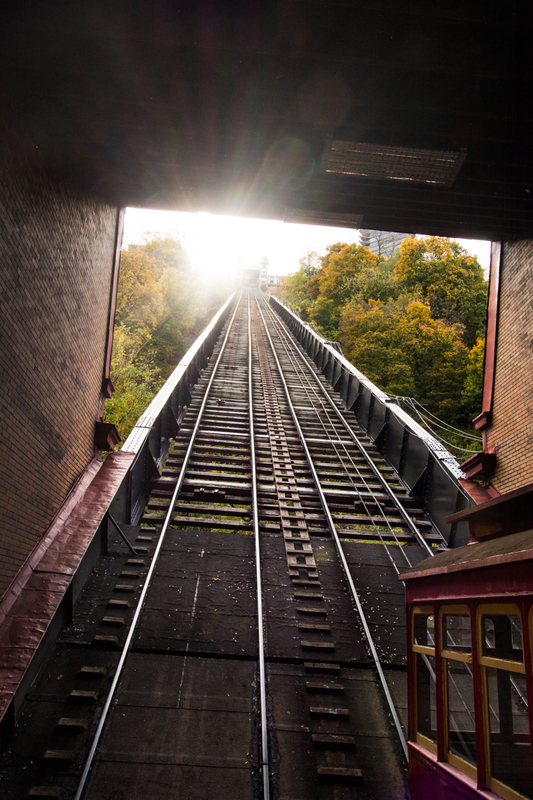 When we arrived at the incline, we didn’t have to wait long for it to arrive; we hopped on and rode it to the top. 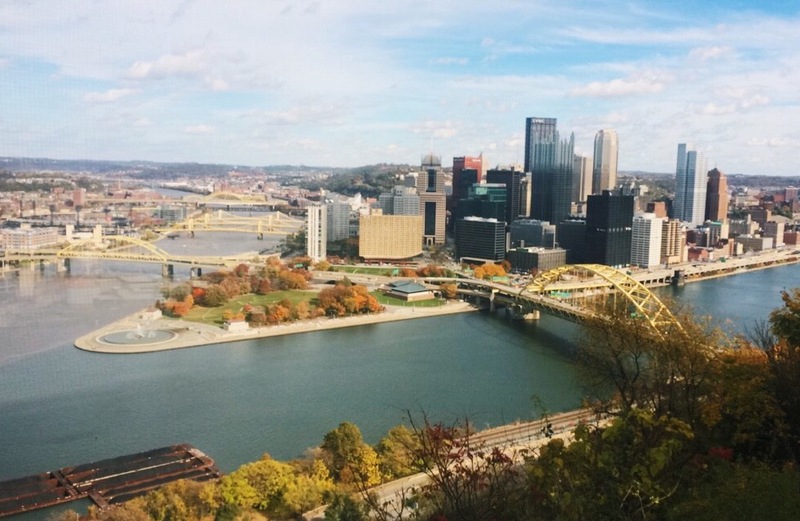 It was a gorgeous day out and the fall colors complimented the city’s landscape. When we reached the top, I immediately headed to the penny machines. Most people don’t know about these pressed pennies, but I’ve been collecting them since I was little. Not only was there one machine, but there was two, which excited me even more! I let the boys crank the machines for me because they wanted to join in on the fun. (Check out Pennycollector.com for more information on the collectable pennies, including locations where you can find the machines.) After we got all eight pennies, we made our way out onto the outlook. 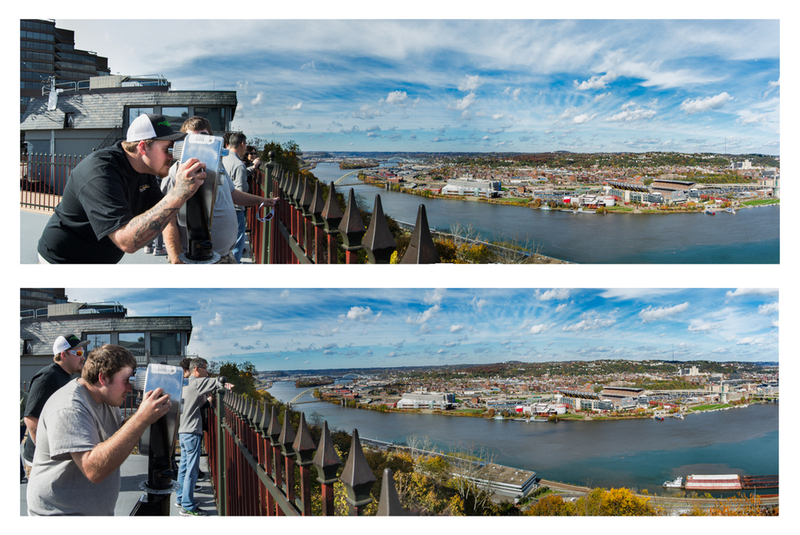 On the outlook, we could see Heinz Field and The Point perfectly. It was amazing to see how filled Heinz Field was for the Steeler’s game. We could even hear the roar of their screams. My favorite part was seeing the boys enjoy the views. After we had our fun on the outlook, we headed back down the incline. Next, we went to Station Square where Jacob found out we could do Segway tours. As we searched for the tour area, I found another penny machine, that happened to be next to the Segway tour office. Brian helped me press the four pennies to add to my collection. After I put my pennies away, we headed over to the desk. 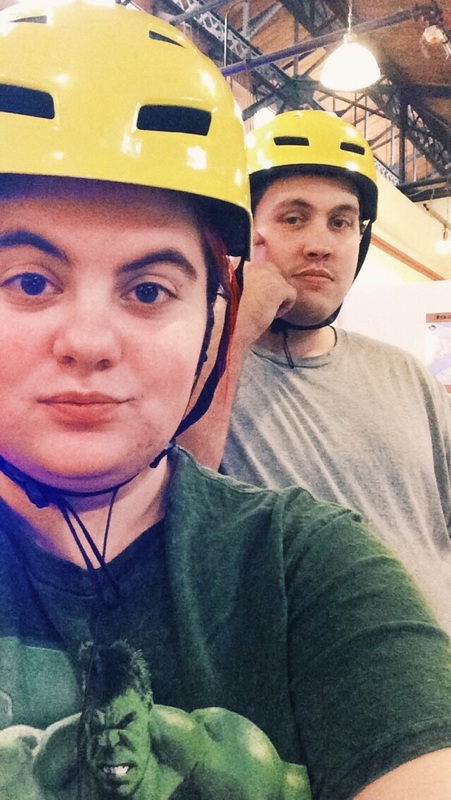 We signed the forms and we were off onto a fall foliage Segway tour! It was awesome! Our tour guide was really nice. He cracked funny jokes, made sure we were comfortable, and made us want to keep going. Unfortunately, you are not allowed to take cameras while on the tours, but he was nice enough to stop us at one point on South Side to take a picture of us with our phone. I definitely recommend going on a Segway tour if you’re in the Pittsburgh area! Just stop downtown at Segway Pittsburgh located in the Station Square shopping center. When we got back from our hour-long adventure, our feet were aching, so instead of taking Jacob around Station Square we decided to head home and rest. We plan to take Jacob around more when he visits again, but until then, we enjoyed our trip to the Duquesne Incline and plan to go on another Segway tour soon! Please enjoy these photographs I got from our day trip!